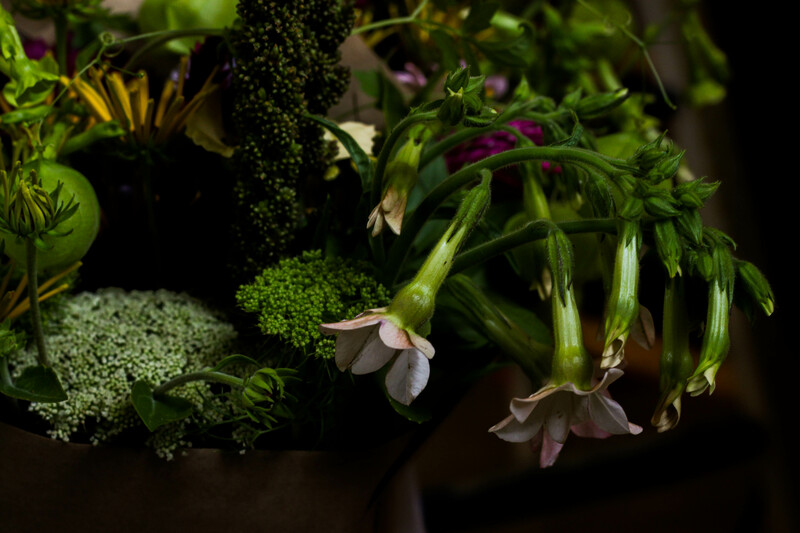 On this rainy morning, in the fourth week of Learn the Flowers CSA we wrap up the month of July. Next week we’ll move into the month of August and for the 5-week members, you’ll receive your final bouquet and the 8-week members will begin the second half of their membership. We’re moving right through the summer at time’s quick pace! This spring and summer has been jam-packed so the time flies by and suddenly I’m turning around to glance back at the things I’d been anticipating because they’re already behind me. I’d like to think that I am able to be present and open to the current moment most of the time, but it’s a struggle for someone who is often dreaming and scheming about what’s next on the horizon. In this busy time, I find my days on the farm to be so precious and a source of meditative work for my mind and body. Some of my favorite days so far this season have been during CSA Monday harvesting and arranging, early in the morning and inspired by your excitement and support. So thanks! Now I’d like to introduce to you the colorful blooms who made their way into your bouquet this week! They were seeded, transplanted and cultivated on a small, local cut flower farm by hard-working, fairly-paid farm hands. Hydrangea- (Quickfire variety) This made it into the first week’s bouquet and was still white at the time. True to its varietal name, it has now faded into a deep, antique pink color and is one of my favorite perennial colors around this time of year. Zinnia- (Zinderella Lilac & Peach varieties) Bright-colored flowers with a single layer of larger, outer petals and a tiny mound of petals forming out from the center. This particular variety was marketed hard to flower farmers this past year, but unfortunately many of the flowers did not develop fully. Lemon Basil- The single stem of lemony goodness in your bouquet. If you hold and rotate your bouquet taking a whiff of the entire thing, you will stumble upon it. Also, please use it in your salads and with your fresh mozzarella and tomatoes because it’s a citrusy, basil delight! 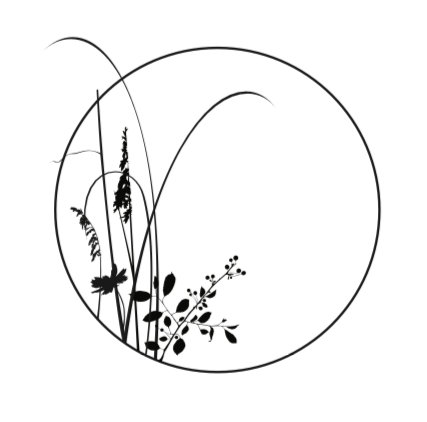 This week’s journal will focus on the two varieties of Nicotiana and the Millet. This is the Nicotiana, Lemon Tree variety and it’s the first season I’ve grown it. 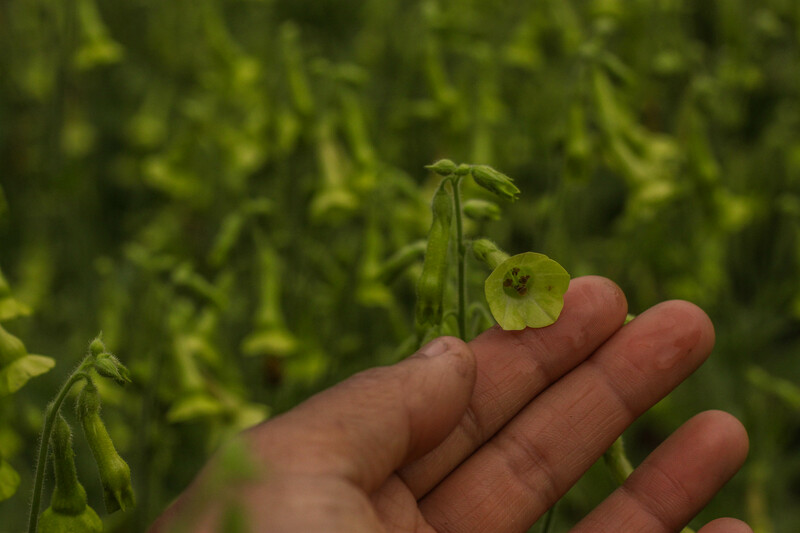 Nicotiana is a flowering variety of the tobacco plant. 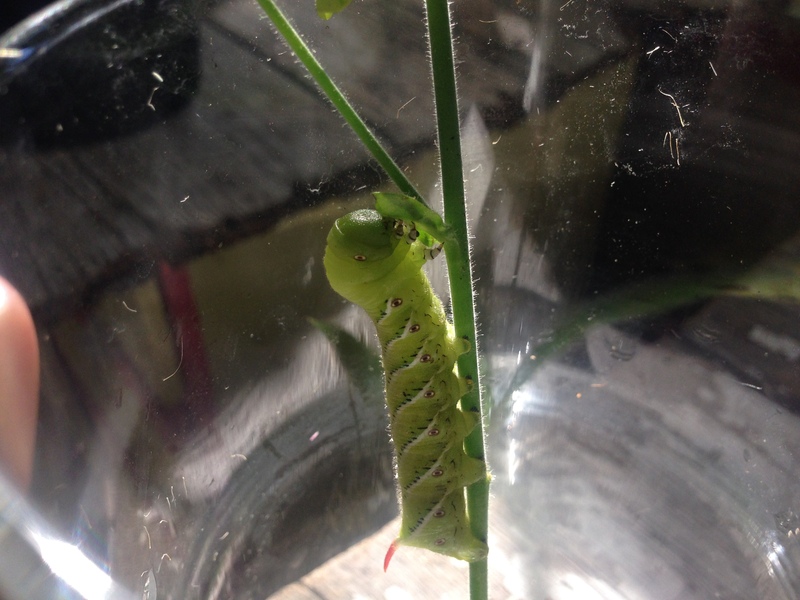 I was reminded of this when I found what looked to be a Tomato Hornworm (caterpillar) on one of its leaves. 1) Once it’s planted, it’s prolific! We started these from seed in March/April, transplanted in May, and had the first flush of blooms at the end of June. Once all the bell-shaped flowers begin to open, they must be cut before their little heads rot and fall off. So at the end of June, I cut them all down until the plants were about 4 inches high. By the middle of July, they had completely come back in full force in time to make it into a few of your July bouquets. I am curious to find out if we cut them back again in the next week or so, whether or not they will proliferate into August and September! 2) It’s one of those plants that makes a low bush of leaves (similar to Digitalis or “Foxglove”) and stays like that for a while and just when you think it’s never going to make flowers, it rains one evening and then the next morning, a whole patch of stems have shot up with buds forming. It’s such an exciting discovery to experience flowers growing in this way! This is the Nicotiana, Bella variety and is such a nice contrast to the Lemon Tree because it’s flowers are much larger (in fewer numbers) and its coloring is varied in subtle pink tones in comparison to the bright lime green of the Lemon Tree. Again, this is my first season growing this flower so I am still learning through trial and error about the best times to harvest for maximum longevity after cutting. I just couldn’t resist including a stem of it this week because it’s so unique and pretty! 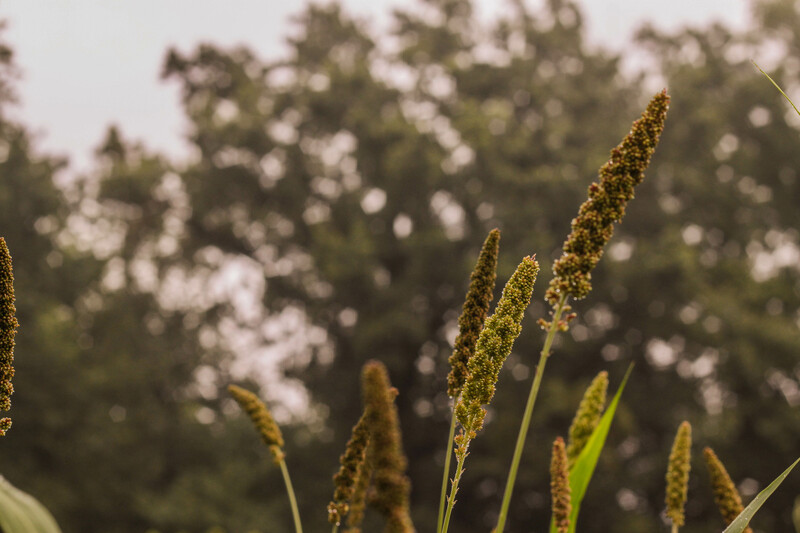 Millet is a great seeded grass to grow alongside cut flowers because it can be cut at many different stages of its growing process. I would say the Millet in your bouquet this week is in the beginning to middle stage of its life. It starts out smaller and greener than what it is right now and eventually becomes larger and stands upright and turns brown. It really goes through a lot of change! After the rest of the blooms in your bouquet fade away, and the millet is still standing, I would recommend you add it to an already-existing wreath that you put up during the fall time or hang it outside from a tree after it dries because the birds absolutely love it! It’s funny that we grow it in such small numbers because it is a food staple for so many people predominantly in Asia and some parts of Africa. I mostly associate millet as being a great treat for birds and sometimes a healthy addition to cereal or a loaf of bread. Here is another video that makes me feel silly about my first associations with millet considering its significance for these people in Southern India. I really enjoyed making the bouquets this week because of the added pop of deep burgundy and pink tones in the Celosia and some of the Cosmos. I’m looking forward to sharing the evolution of color as things bloom and fade for the remaining weeks of the CSA. I hope you enjoyed your bouquet last week and I hope you can learn about and be inspired by the flowers in this week’s bouquet too!